Tropical never looked so good, say hello to the Bali collection from Figleaves Curve. This high-waist bikini brief features rose gold ring details to side and a high legline. 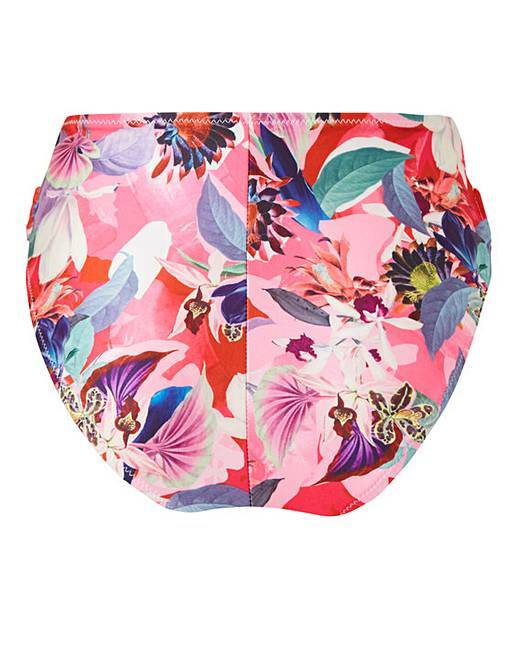 This standout print looks great when worn with the matching Bali bikini top. 89% Polyester, 11% Elastane. Lining: Polyester (excluding trims).